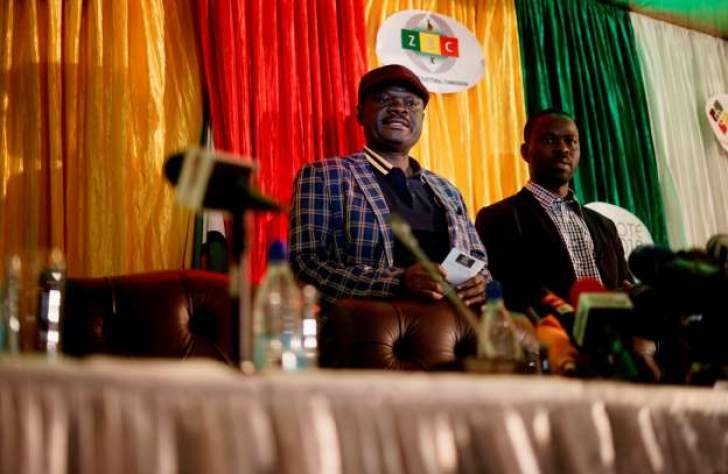 ZIMBABWE Electoral Commission (ZEC) acting chief elections officer, Utoile Silaigwana Monday distanced himself from allegations MDC vice president, Morgen Komichi is facing saying he did not see him committing any offence. Silaigwana was giving his testimony before Harare magistrate Ruramai Chitumbura. He said he was only told that Komichi had stormed the ZEC podium during announcement of the July 30, 2018 presidential election results at Harare's Raibow Towers. Komichi stands accused of contravening the Electoral Act which criminalises interrupting, obstructing or disturbing proceedings related to announcement of election results. He landed in the dock after he allegedly invaded the podium reserved for ZEC officials during the announcement of the poll outcome. Komichi challenged the authenticity of the set of results that had been announced by ZEC by that time and further declared MDC leader Nelson Chamisa as winner, it is alleged. Ruling on the trial of Morgen Komichi who is facing charges of disrupting the announcement of the 2018 elections results will be handed down on the 21st of this month after the state wrapped up its case. This comes after the key witness in the matter and Zimbabwe Electoral Commission Acting Chief Elections Officer, Mr Utoile Silaigwana indicated he had not personally seen Komichi disrupting the announcement, but was only informed by a witness over the phone. Chief Law Officer Michael Reza examined Mr Silaigwana on his duties and responsibilities and on the events of the 2nd of August 2018 at the National Elections Command Centre that was stationed at the Harare International Conference Centre. Mr Silaigwana indicated that he was informed of the disruption of announcement of results by the accused person through a third party over a telephone call, but he was in a different room at the premises where the alleged offence took place. Defence counsel Obey Shava, during cross examination, confirmed from the chief state witness Mr Silaigwana that the entire trial was prompted by his report to the police though he had not personally witnessed the accused committing the alleged offence. After the brief last submissions from both the state and the defence, the court postponed the matter for its ruling to be delivered on the 21st of January. However, Shava indicated that he will file an application for discharge at the close of the state case as the state had failed to establish its case against the accused. Harare Magistrate Ruramai Chitumbura took note of the application to be filed while Chief Law Officer Michael Reza will file his response on the 18th of January.